In the unlikely event that your aircraft crashes, you should be very aware of search and rescue procedures, and what you can do to improve your survival odds. What does the term "search and rescue" mean? After a crash, how can you best utilize the resources available to accomplish the survival goal: We need to distinguish between these two key words, search and rescue. If rescue personnel don't know where you are, it's a search. If the they do know where you are, then it's a rescue. We will discuss what you can do to help in the search phase. The key to your survival is to shorten the time from the crash to rescue. Obviously, if the rescue team doesn't know your location, then it will take a lot longer for them to find you. How much longer? The average time from the last known position (LKP) to rescue is 31 hours. Since this is an average, one could be a survivor for a few hours- or a few days. To assure that the LKP is known, as a pilot, your key survival effort begins by filing a flight plan. It is a road map of your inflight movements and is the cheapest insurance available. How cheap? It's free. The types of flight plans filed will greatly affect the time you may have to survive during a search phase. It is very easy to see how important it is to have a flight plan on file with a Flight Service Station. It's important to understand how the rescue personnel are put into action. When an aircraft is overdue, missing, or sends a radio distress call, the National Search and Rescue Plan is activated. There are many organizations and volunteers associated with Search and Rescue (SAR), but the Federal Government assumes overall responsibility. 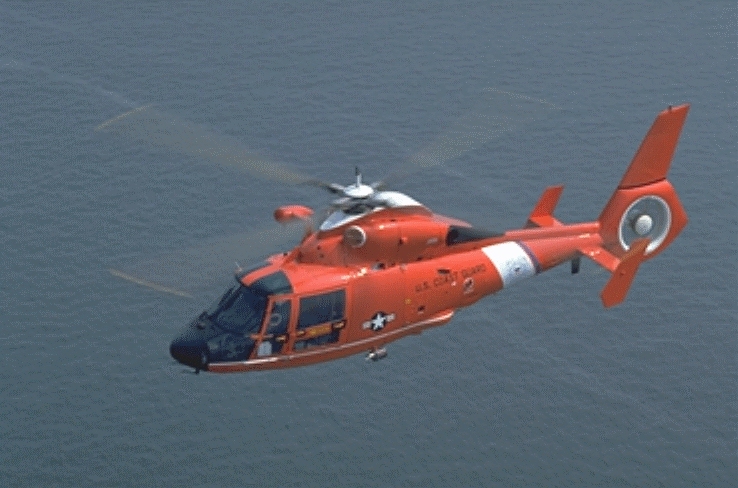 The National SAR plan designates the U.S. Coast Guard as responsible for maritime SAR and the U.S. Air Force for inland SAR. When is a flight "overdue?" If a flight plan is filed, the air traffic control system will automatically initiate a plan to locate overdue flights. When an aircraft on a VFR flight plan is overdue by 1 hour, or by 30 minutes on a IFR flight plan, the Flight Service Station servicing the destination airport issues an INREQ (Information Request). If a flight plan was not filed, there is no designated time limit before a search is initiated, thus greatly delaying the onset of Search and Rescue. The following chart summarizes the actions that are used to locate a downed aircraft. Uncertainty. The Information Request (INREQ) is initiated. The Federal Aviation Administration and the Air Force Rescue Coordination Center conduct a Preliminary Communications (PRECOM) search. Because of the high rate of false alarms, this phase is designed to determine if an aircraft is really missing or if a crew neglected to close their flight plan. If the PRECOM comes up negative, then the next phase is activated. Alert or Alert Notice (ALNOT). The ALNOT will be issued at the end of the INREQ or when the estimated time that the missing aircraft's fuel would be exhausted or when there is serious concern regarding the safety of the aircraft and its occupants. At this phase, the destination airport checks all ramps and hangers to locate the aircraft. Local law enforcement agencies in the search area are notified and all information is sent to the AFRCC. If the ALNOT fails to find the aircraft, then the final phase is activated. Distress. At this point, the actual search mission is launched. Air search efforts will not begin until first daylight unless there is a functioning ELT alerting a ground rescue party; if the weather permits, air rescue is dispatched to the distress location. Even with an ELT, terrain and weather may hinder response time. Chances are good of spending at least one night as a survivor. It is very important to ensure that your aircraft's electronic locator transmitter (ELT) is in good operating condition. The average time required to find a downed aircraft with a functioning ELT is 6.8 hours. Compare that time to 40.7 hours without an operating ELT and the benefits of properly maintaining emergency equipment become obvious. Another important factor is the probability of death from serious injury: It increases substantially after 24 hours. How can the search phase be shortened? A flight plan filed with Flight Service, an operational ELT, and good communications will increase your chances of a quick response by rescue personnel. One item to help you survive after a crash is a good personal survival kit aboard the aircraft. Refer to the Federal Air Surgeon's Medical Bulletin, Summer 1993, STRIVING TO SURVIVE, by Roger Storey, for contents of a good survival gear kit. In any survival situation, there will be specific priorities. The priorities will include medical first-aid, shelter from the elements, rest, water, and food. The order of importance you place on each of these priorities will be dictated by each situation. For instance, the priorities for a pilot forced into a survival situation in rural Missouri during the month of August will vary from a pilot who has to survive in Northern Michigan during January. One thing is for certain, without a "will to survive," there can be no survival. If you do not have a desire to survive, there is no equipment made that will help you survive. There are two simple, but important, ways you can increase your chances of survival. These involve preparation- before you ever find yourself in an actual survival situation. The first is to admit to yourself that "It Can Happen To Me." The next step is to prepare yourself, both mentally and physically. It is not enough to prepare mentally if you cannot withstand the physical requirements of a survival situation. The mental preparation can come in the form of educational courses, books, or conversations. There are all kinds of survival courses conducted around the United States that deal specifically with the climate, terrain, and many other factors that you may be exposed to in each region. Along with these courses, there are a great number of books on survival techniques for the dessert, arctic, and sea. You can find these at most bookstores or at the library. Another way to gain knowledge is to ask people who have been through a survival situation what to expect. Training also includes learning how to use, or just practicing, the use of survival gear you may already have. Preparing yourself, physically, for a survival situation depends greatly on the shape you are in now. Keep in mind that your situation may require you to walk, climb, or even carry a fellow crewmember or passenger a distance. You will want to be as physically fit as you would expect the person, who might have to carry you, to be.